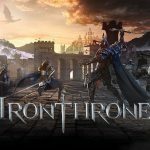 Throne: Kingdom of War is a new mobile game from Plarium, that’s now available for iOS and Android devices. Like you would in your average real-time strategy game, you are tasked to come up with an army of warriors, create a powerful Order, and face up against human players from all around the world. 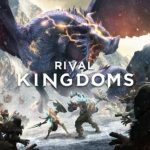 In other words, this is Plarium’s entry into the same gaming genre that gave us Clash of Clans and other similar titles, and it’s going to be all about striving to be the most powerful Order in the Kingdom. The game takes place in a “medieval town in an expansive Kingdom,” and when it comes to forming your team, there are different troop classes to choose from (knights, spearmen, etc. ), and tons of armor and weapons options. 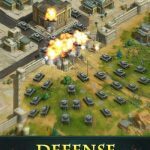 As a game in the RTS genre, there’s a lot for new players to learn, and even those who have been playing for some time may need some time to figure certain things out. That said, our exclusive Throne: Kingdom of War strategy guide is designed for beginners, as it shows you what you need to do to gain your footing in the game, offering a quick overview of the fundamentals. First of all, you’ll need to master the layout of the game, which may be a little different from what you may know from other RTS/MMORTS games. On the top portion of your screen you will see your food supply, your gold, and data for your other resources. Below that, you’ll find your experience level, and you will also see whether you have VIP status or not. At some point, VIP status won’t come free in the game, but Throne: Kingdom of War will help you reach it early on. This boosts your production levels, and allows you to collect more of a certain resource at any given time. You’ll also see if there are any special offers available next to your experience level. And below that and your VIP status (if any), you’ll be able to access your quests, which you should follow to ensure that you remain on the right track in the game. Speaking of quests, you should always make it a point that you’re always doing something in Throne: Kingdom of War. That means you should take on as many quests as you can, so that you can improve your kingdom and ensure you have enough resources and structures, and earn more experience points and currency along the way. When it comes to building more structures, the game offers a free boost that allows you to speed up the construction. This is a rather interesting twist, as games like this often require you to pay currency to speed up or skip the construction process. You can’t spell MMORTS without MMO, and by that, we mean you should join an Order at the soonest possible time, allowing you to take on other Orders and take on more errands among other key benefits. But taking advantage of this game’s social features go beyond joining Orders led by people from just about any part of the world. There are some Orders that may be closed, and if you aren’t able to find any open one that piques your interest, or anything open at the moment, you might want to try getting your friends involved. Just don’t be pushy about it! Speaking of things like that, proper netiquette most certainly applies once you’ve become part of an Order. You can ask help from your fellow members, especially when building new things, but you shouldn’t forget to return the favor and answer requests for help; you’ll find those requests on the bottom right of your device’s screen, and by clicking on “Help All,” you can help anyone who needs it with the tap of a button. You should also remember to be friendly and courteous when using the chat feature, and not to be too pushy (that word again) when making requests. Nobody appreciates it, after all, when they see someone in their clan/guild/Order chat room demanding “HELP ME PLZ” or “NEED HELP W/BUILDING NOW” in capital letters. 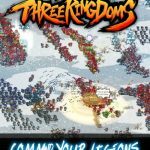 Throne: Kingdom of War has yet another classic feature that you may know from other RTS/MMORTS titles – early immunity. This is a form of protection all newbies get when they start playing the game, where players cannot be attacked by opponents for a given period of time. Make use of this immunity period by training as many troops as possible, so that you’ll be more than prepared when your immunity wears off. As a general rule, you should be training your troops as much as possible and growing them in number. Make sure that you’re working toward increasing your troop count, as that’s going to give you a robust army that could stand up to just about any other human player. And once again, make use of your immunity period, and start early. Additionally, you’ll also want to make visits to the workshop and craft new and more powerful items for your troops. Crafting weapons and armor can make them more powerful, and help you along the way as you take on more human players and their Orders in battle. These would be our tips and tricks for Throne: Kingdom at War. Do you know some advanced tips for the game? Let us know in the comment section!